← Only a Rosedale, I give you . . .
GOT my boots on. Clump clump. And I’m marching through an industrial estate on the outskirts of Redcar. A less charitable person might describe it as rundown and shabby. It is not the most picturesque of locations, but the low-budget car dealers are offering interesting bargains and there’s a colourful sign outside a scrapyard advertising a cafe – but there’s no cafe. I feel a bit out of place because I’m not wearing one of those high-visibility jackets or a leisure top with a sportswear company name emblazoned across the front. Does that sound a bit snobbish? Sorry, but I can’t worry about that because I’m searching for something . . . Beyond the last security fence and misplaced traffic cones lies the steelworks. The blast-furnace and associated towers, chimneys, pylons, smoke spires and orange flares dominate the sky-scape. There is no denying this is an ugly place. But when viewed from the seashore with sand-dunes in the foreground, it assumes a surreal beauty. There is beauty in the ugliness. If that sounds like a cliché it’s because it probably is. Despite its fringes, Redcar’s a fine town. If you’ve seen Joe Wright’s splendid film Atonement, starring Keira Nightley and James McAvoy, and admired the people of Dunkirk for allowing their seafront to be blasted to bits a second time by German bombs and retreating Tommies, admire them no more because it wasn’t Dunkirk it was Redcar. That’s two films plugged in as many paragraphs. You’d think I was being paid for this. What am I searching for? I’m not sure really. I’ll come back to that in a minute. There are no mountains or expansive moorlands in today’s itinerary. 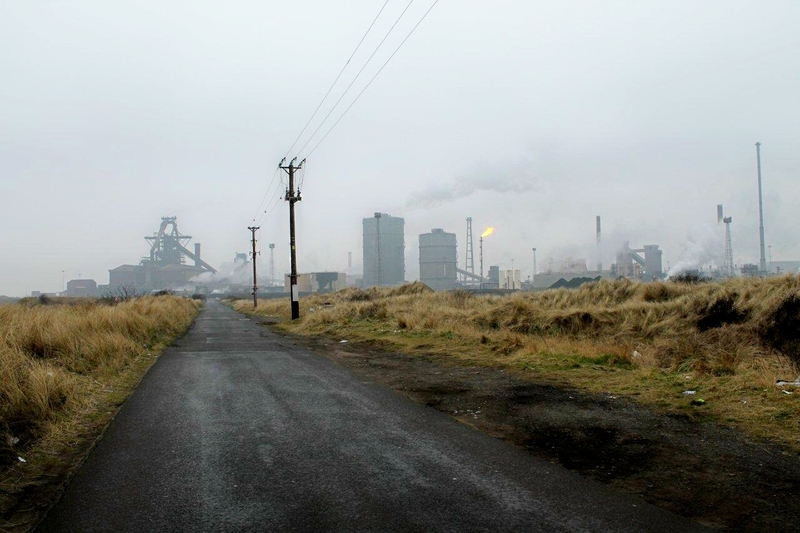 I’m heading down a potholed track past the steelworks to another country called South Gare, then ambling back to Redcar along the beach. 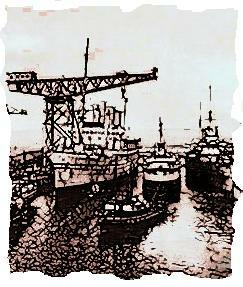 South Gare is a place I discovered by chance back in the 1990s. Lucy stepped through a wardrobe into Narnia. 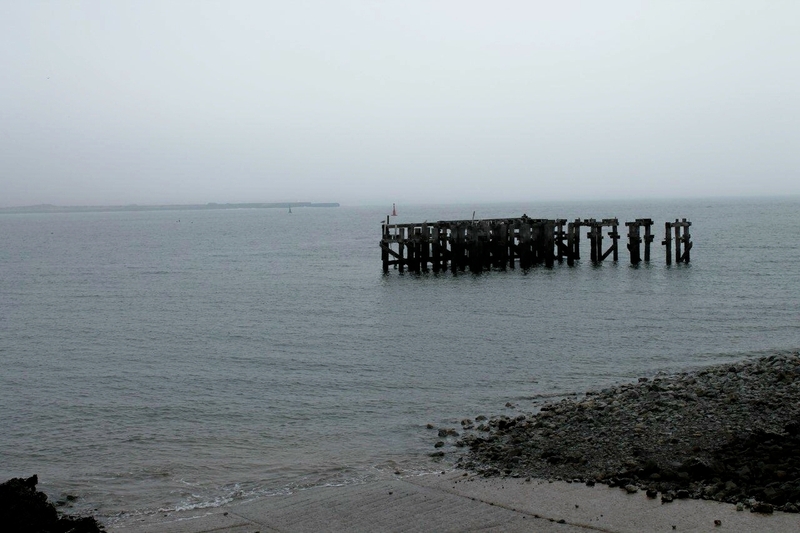 I stepped through a gap between stacks of pallets and ended up at South Gare. There are no fauns. Beyond the steelworks the track runs through scruffy dunes past the occasional abandoned mattress and pile of detritus from someone’s life. There’s a scattering of cars parked up with lonely men sitting in them. Am I selling you this place? Don’t go yet. A bleak line of telegraph poles cuts across the flatlands, seemingly dragging the track towards the mouth of the River Tees. It’s cold and visibility is hampered by a thin winter mist drifting in off the North Sea. 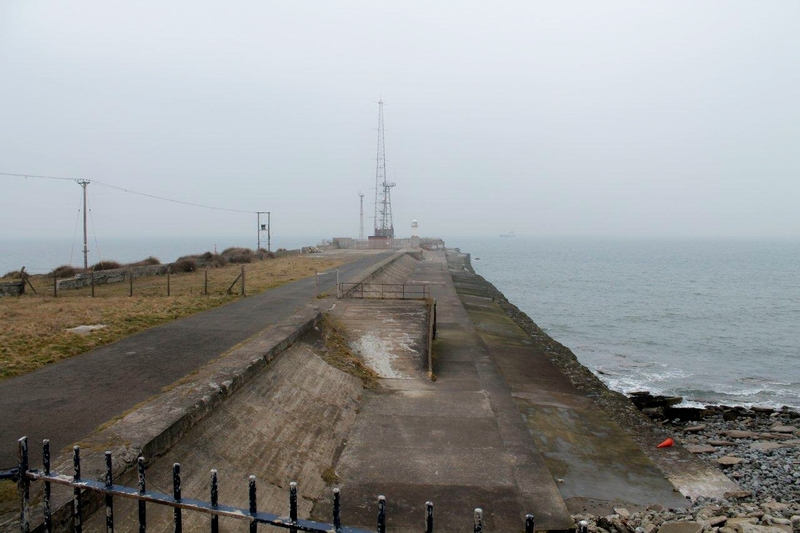 And at the end of the road and the end of the river – and the end of solid ground until you reach Holland and Denmark – is South Gare. Searching. I’ve decided there should be more to life than going to work for a salary that’s decreasing in real terms every year – but I don’t know what it is. Climbing mountains is part of it, but there’s a bigger picture. There’s an answer out there as sure as there is dark matter and unseen fluff under the bed. So I’m at South Gare searching for an answer. I won’t find it – but I know I’ll find a clue. Beneath the potholed road lies a sheltered creek in the southern bank of the cold grey Tees. The square outline of Hartlepool nuclear power station is just visible away to the north. Are you warming to this place yet? Boats bob in the creek. I don’t think they’ve moved since the last time I was here. Circling the creek is a collection of sheds built from boats, spare planks, second-hand windows and doors, tin sheets, felt, roofing laths and packing cases. Each shed has a stovepipe poking through the roof. 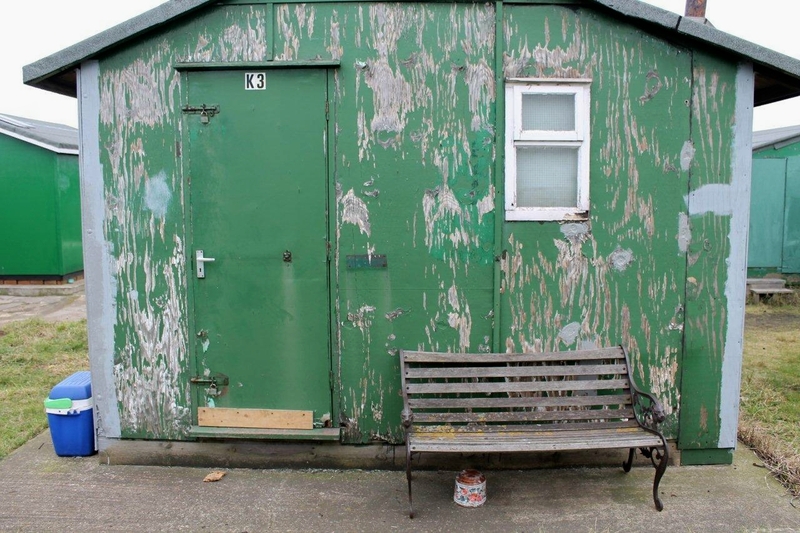 I catch a whiff of smoke from the nearest hut and fight back an urge to walk through the open door and make myself comfortable in someone else’s battered armchair. Will the owner invite me inside if I stand here long enough? I’ll promise to remove my hiking boots and leave them on the step. 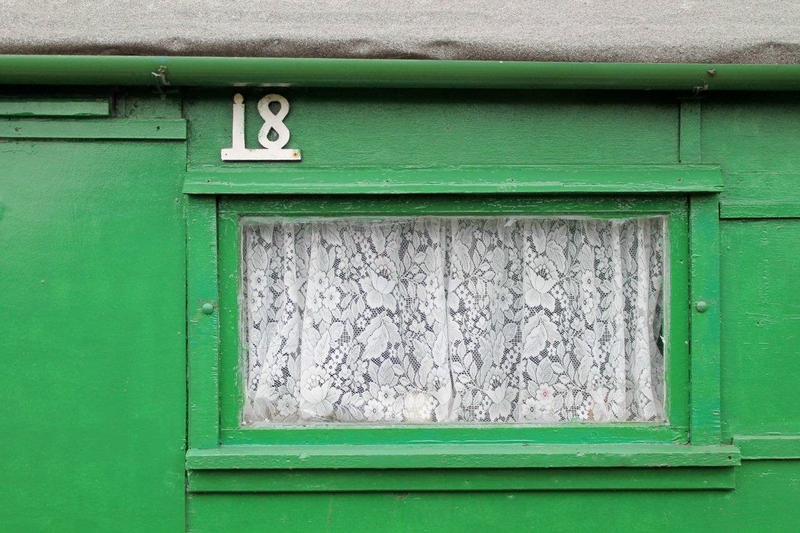 I need to sip tea, eat biscuits and listen to the shipping forecast while his stove warms my soul and I relax in the rhythms of his recycled world. Because I think he’s found something. 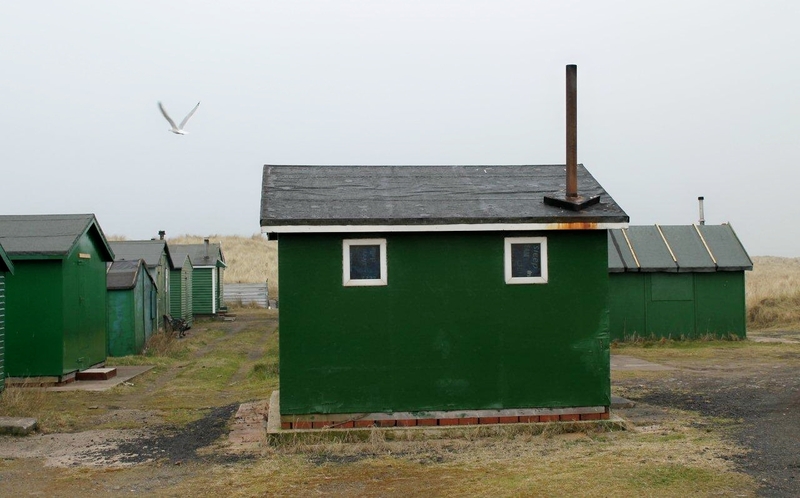 On the other side of the road, in a hollow in the dunes, is a settlement – it cannot be described as anything else – run by the Fishermen’s Huts Association. Each tidy green hut has a stovepipe and its allotted space. Each has its privacy while being part of a community. It looks ramshackle and primitive. But so far as I’m concerned, this is heaven on earth. I wander between the huts. Again I catch the scent of coal fires while Tammy Wynette sings Stand By Your Man on someone’s radio, the flares shoot skywards from the steelworks and the North Sea rolls on the beach. From the open window of one hut drifts the aroma of onions being fried. Is there a more delicious smell in the world? No there is not. Onions, coal smoke, salt on the wind and Tammy Wynette. 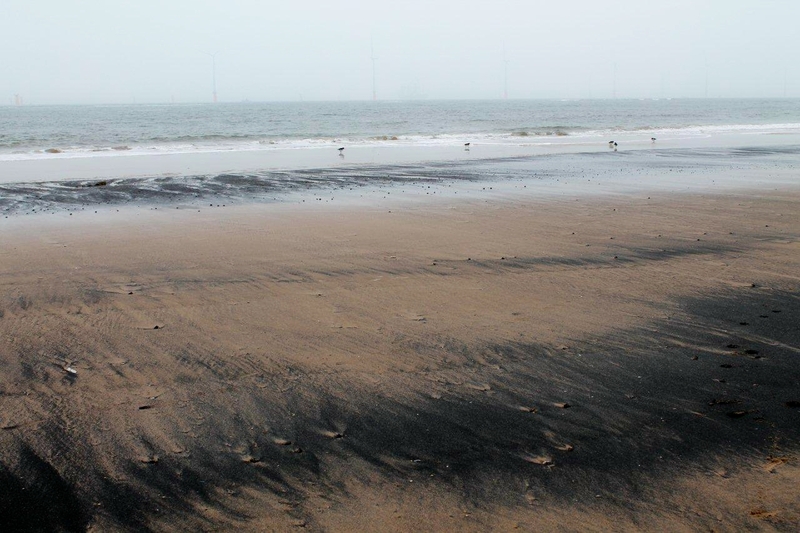 Peace, nature, ugliness, beauty, wildness, isolation, earth, sky and ocean – all merging in this melting pot called South Gare. I said before that this is another country – and it is. These people have found something. It’s not necessarily what I’m searching for but I think it’s a lump of it. It’s not the full jigsaw but it feels like a piece – or should that be a peace? Does that sound like another cliché? 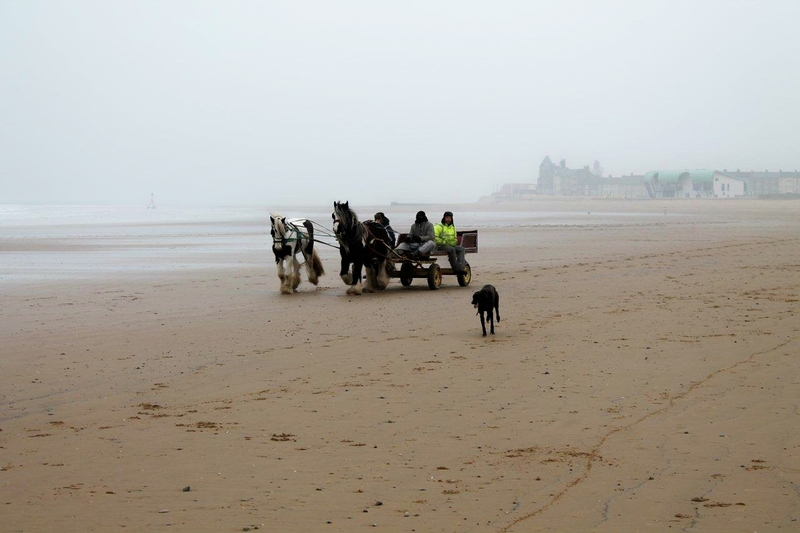 I follow the tideline back towards Redcar. 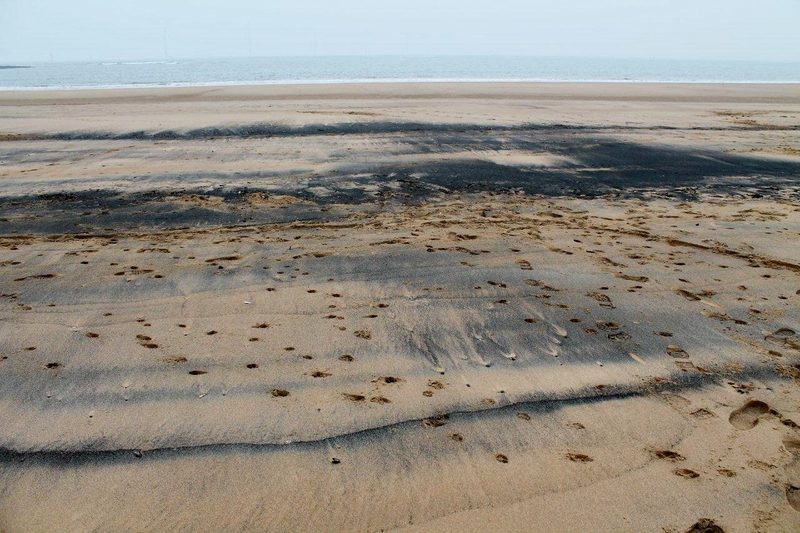 The beach is stained with streaks of sea-coal and oystercatchers peck in the shallows. 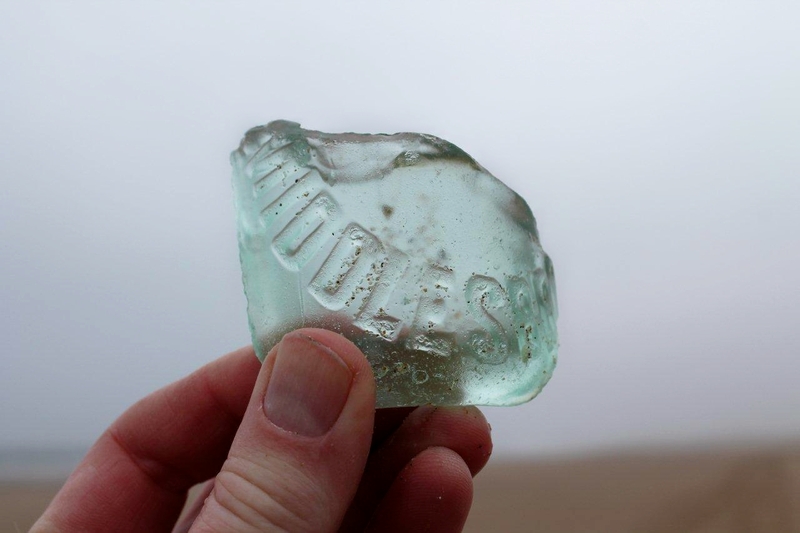 In the sand I find the bottom of a very old green bottle – perhaps a codd bottle – embossed with the word “Middlesbrough”. It’s drifted down the Tees, washed out to sea, and been thrown back on the beach where the abrasive sand has smoothed its edges. It’s been on a voyage, and now it’s going home to sit on my shelf. Perhaps that’s what life’s about – there is no big picture, just bits of this and bits of that thrown together in a jumble that makes no sense but gets you through. I’ll have to think about that one. 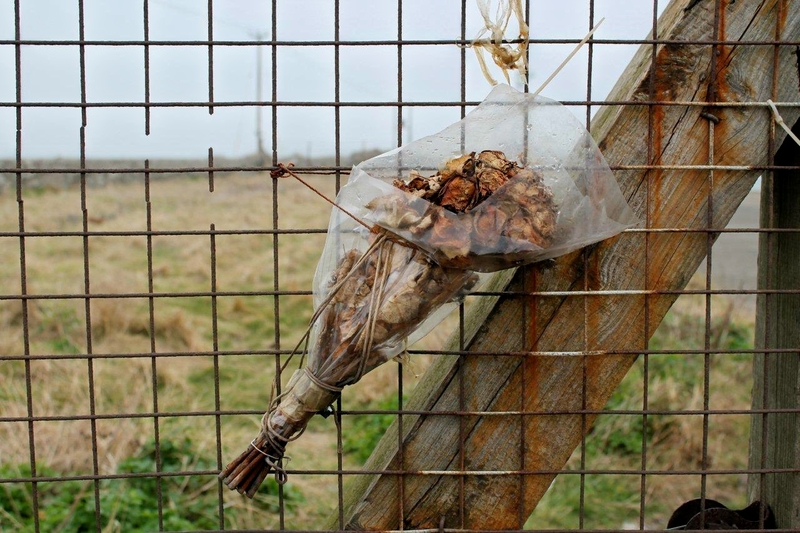 This entry was posted in Environment, Hiking, Industrial archaeology, Life, Recycling, South Gare, Teesside, Walking and tagged outdoors. Bookmark the permalink. 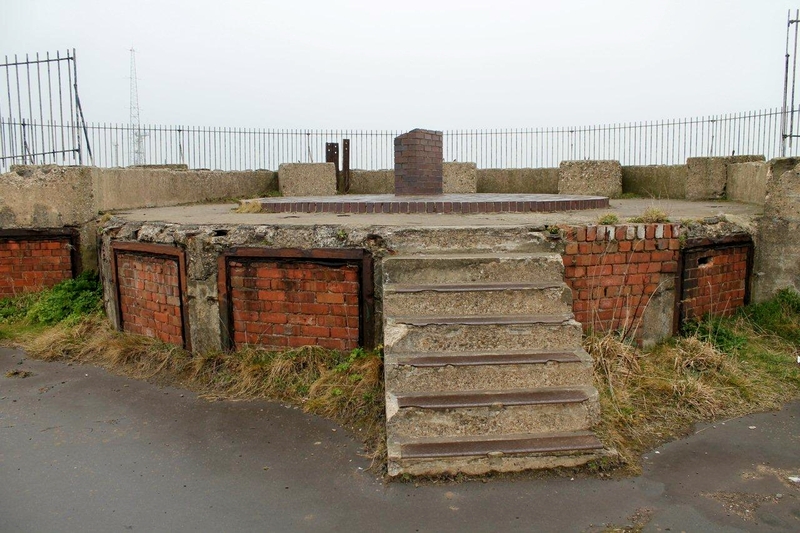 53 Responses to I Must Go Down to South Gare Again . . . I like the sense here of other little worlds which They have overlooked – like the embankments of motorways, or the scruffy bit at the bottom of the garden, one finds unintentional refuges for plants, creatures and people. And if you can get into a different world you can sometimes see a question in your mind from a different angle. I’m glad you found something to take home with you. Hello Mrs Potter. Yes, I like the little worlds idea. I’ve just, this morning, travelled up the East Coast mainline and seen railway sidings with buddleia growing in them, and although they looked drab in this frosty weather, come summer they will be a picture of colour with butterflies flitting through their branches. And little sheds tucked in the corners of fields and saplings growing in the roofs of old buildings (which, if I recall, you are partial to yourself). It struck me that the majority of people don’t notice these things because nearly everyone on the train spent the entire journey poring over their touch-screen mobile phones. That’s their loss. We once spent a Winter’s afternoon in Redcar with No2 Daughter and her boyfriend who were, at the time, in the process of breaking-up. It was a bitter sweet occasion which a better man than I might have captured in a song or a short story. 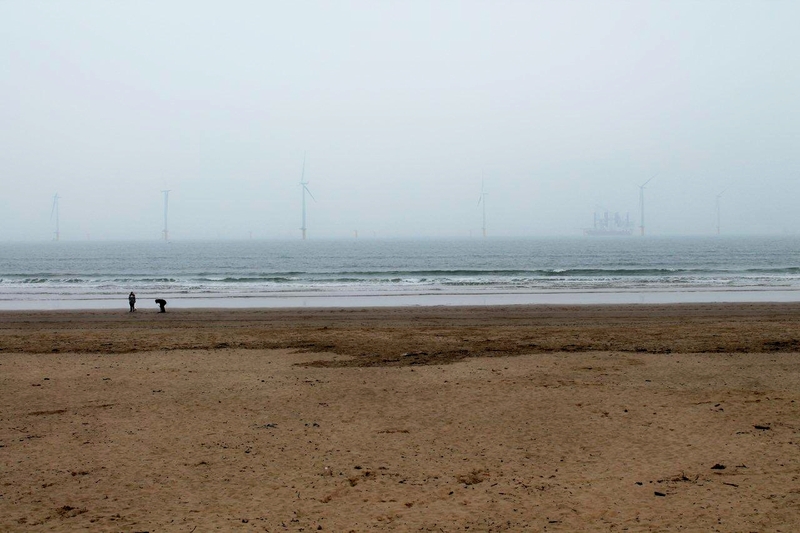 There’s a certain pathos in that tale, which a winter’s day in Redcar makes all the more tragic. A song, a short story, even a television play could be crafted from the bare bones of the picture you have sketched here, OM. It brings to mind Michael Palin’s marvellous film East of Ipswich. That’s another film plugged. I too love exploring the hidden places in familiar locations. There are interesting areas around Workingtons harbour mouth. The sheds look great and probably appeal to me the same way tents do! Great writing that Alen, you should write a book or some articles for TGO. It could do with an infusion of talent. I’d get your boots cleaned first mind. Greg, I’ve tried several times over the years to get my foot in the door at TGO, only to receive polite though disheartening replies. But perhaps, now you’ve mentioned it, if I cleaned my boots my foot would stand a better chance. 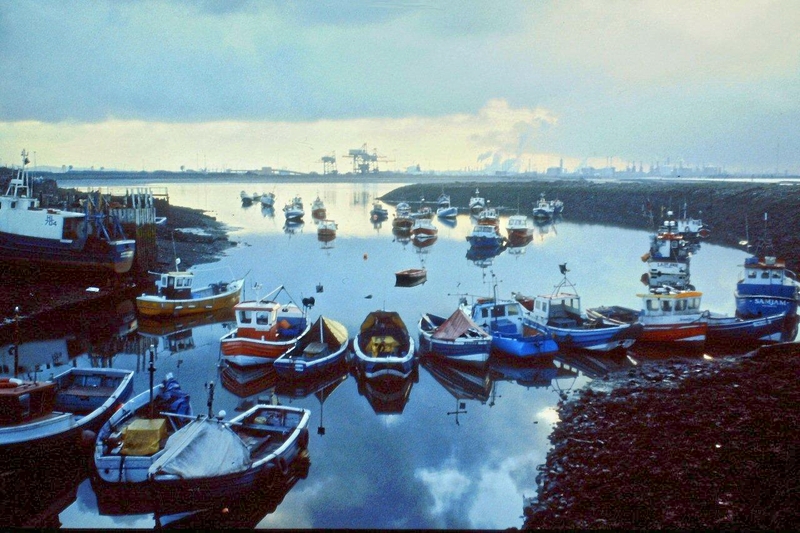 I don’t know Workington harbour at all, but I used to work just down the road in Whitehaven and that’s a great place. Happy memories. The fish and chips are excellent too. Ah, that was a particularly good read. I’m jealous of your bottle bottom, as it were. Oddly enough, I was reading about the Carbeth Hutters just the other day, and your story made me think about the whole thing again. There’s a certain feel about that as well, I suppose. Hi Scott. My bottle bottom has been lightly polished and placed in a prominent position, you will be pleased to hear. I used to collect old bottles (in the days before marriage), my main source being a Victorian tip which now lies very inconveniently beneath the wallaby enclosure of the South Lakes Wild Animal Park. But at least the wallabies seem happy. I’d never heard of the Carbeth Hutters until I followed that link. What a splendid way to spend your life. And there’s even a national hutters association! I’ve a feeling there’s a whole new world out there waiting to be explored and embraced. Thanks for that. PS. I’ve just realised that I walked past those huts on the West Highland Way. A quick glance at Bing maps and the penny dropped. Hi Carol. Thanks for that. I don’t know how long the huts have been there. 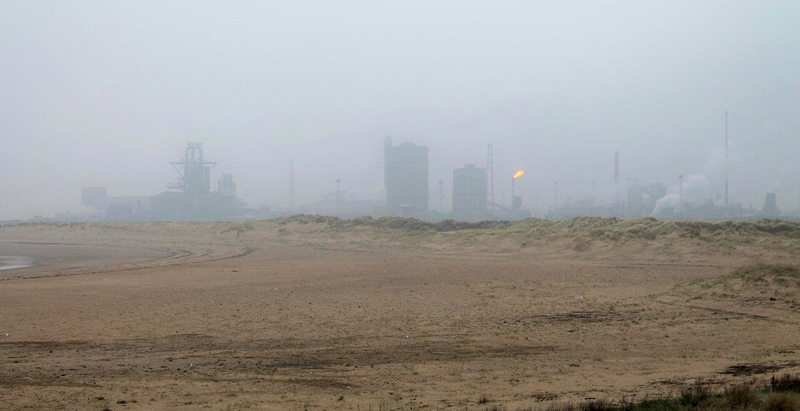 The first time I visited South Gare was in the late 1990s, and they were there then. Huts can age very quickly, mind. My garden huts certainly do. Thanks for the comment on the scanned slides. The process on my Konig scanner seems to be very hit and miss at the moment, but I’m quite new to this sort of thing. If they were half as good as yours I’d be pleased. I shall persevere. Scanning takes a while to get used to. One tip I had to give out recently, which was the most useful tip ever given to me about scanning, was to ensure the ‘Unsharp Mask’ was ticked/selected. Before I did that, all my photos were unsharp (the prints weren’t, just the scans of them). Thanks for the tip, Carol. Ah, Redcar in the olden days. I hope you took some pictures on the Zenith. LOL – the only photo I’ve got is of my good ol’ Cortina (which I’ve still got and still runs) in the street outside my friend’s house there. I didn’t really carry a camera around much in those days. Some of my Uncles had Fishermans Association huts in the mid 50’s, so there’s been huts there at least that long. You’re out with heavy artillery, and you’ve hit Denmark even without the Wartime gun, Alen. Did you see, that I was waving the white flag? I’ve been at ‘South Gare’ several times, and will probably pass by again. It is a condition that is built in life. The cool thing is that you can choose to use the puzzle pieces, as a spice for the choices you make, combined with a well-defined set of values​​. I am also known as The Oracle! Hej Hanna. So you’ve been to South Gare too. And here’s me thinking no one would have heard of it. You are correct in thinking I harbour a desire for an uncomplicated life. Perhaps most of us do, and that’s why we climb hills and tramp through the countryside, then discuss our adventures on the internet in the way we do. Speaking from a personal view, I believe there is also a huge dissatisfaction with the way we are conditioned to live – and I don’t think this is a modern phenomenon, I think people have always felt this way. You have got some interesting pics there as well. The huts with the industry around them definitely appeal. Time for another visit. Hi David. I’m glad I’ve ignited a few memories, because you’ve just stirred a few of mine with what you said about heavy industry, people and the sea. I’ve mentioned before before that I walked the Cleveland Way about ten years ago. All manner of industries existed along that coast from Teesside down to Filey at one time or other. I recall passing a bay where grooves had been cut like tramlines across beds of flat rock so that cartloads of alum (I think) could be hauled to boasts. Hardly any traces of that industry exist now, but it was huge in the 18th and 19th centuries. That’s a splendid sunset picture, by the way. Hauntingly beautiful. 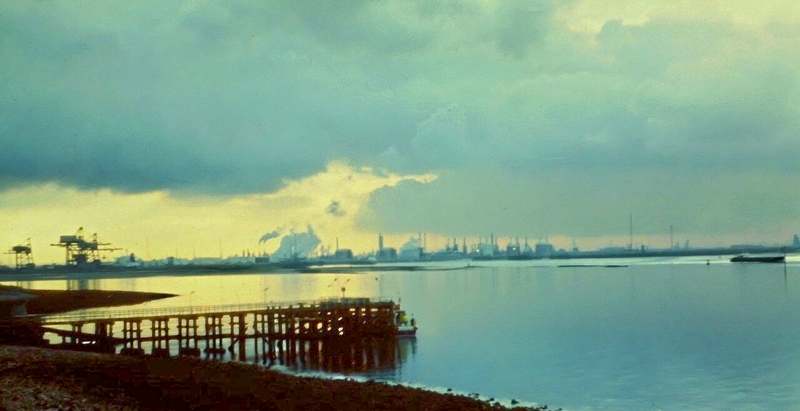 Industry surrounded by the magnificence of the natural world. I can only mirror what Greg says in that you have touched on a subject & portrayed it in your own words… I’m not sure if ‘subject’ is the right word but I think you’l know what I mean. One of your finest Alen, I’m going back to re-read it again. Hi Paul. Thanks for that. I’m glad you enjoyed it – but I must admit I always feel a pang of guilt when I write about walks like this that I should, really, have got up earlier and driven over to the Lakes to do a proper walk across the high fells in snow and biting wind. Perhaps it’s an age thing. Or am I just lazy and making up excuses? Goodness, Alen – less John Clare and more T S Eliot! I can sense what you might have been searching for there – have you decided whether you found it? I didn’t, Jo. Might have to go back again when the weather’s a bit warmer. We visited Greatham Creek and walked Seal Sands during Easter. 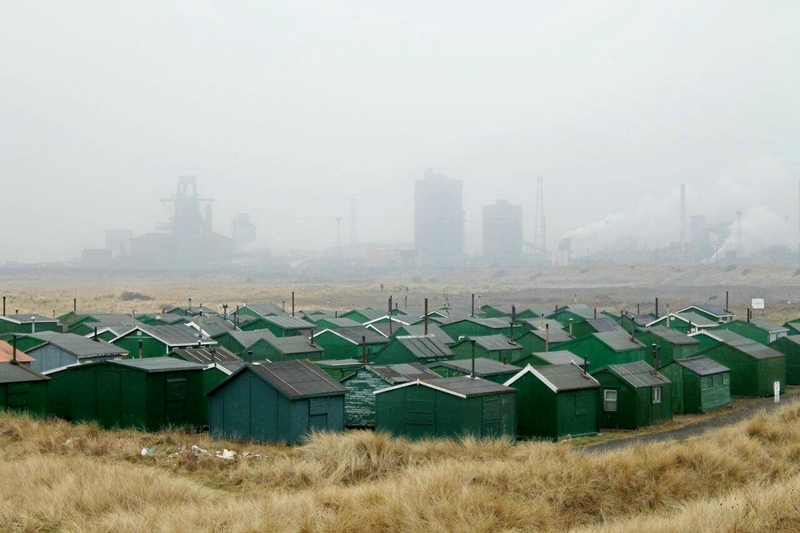 South Gare is very much on my list of things to do. Without doubt one of the most captivating post I’ve ever read on line. Stunning images. Ticked every box. Wow. Thanks for that, Keith. 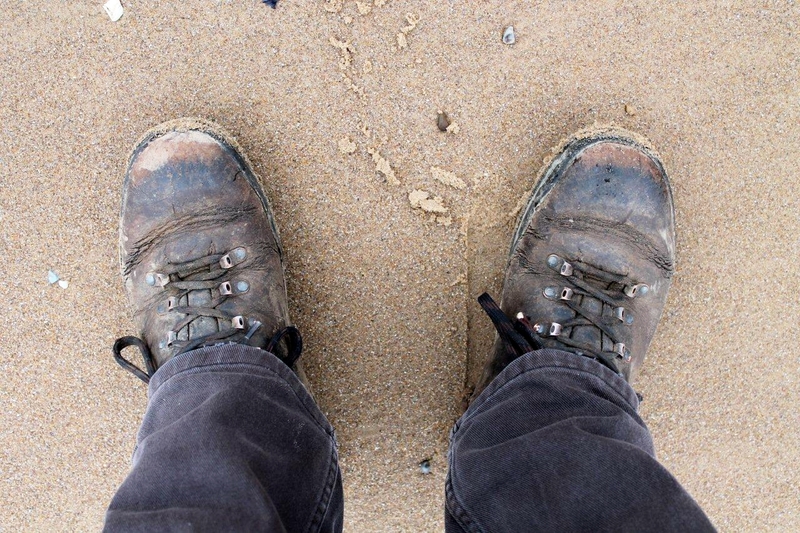 Hope you have a good day at South Gare. I’ve never ventured north of the river so I’m long overdue a wander around Seal Sands. 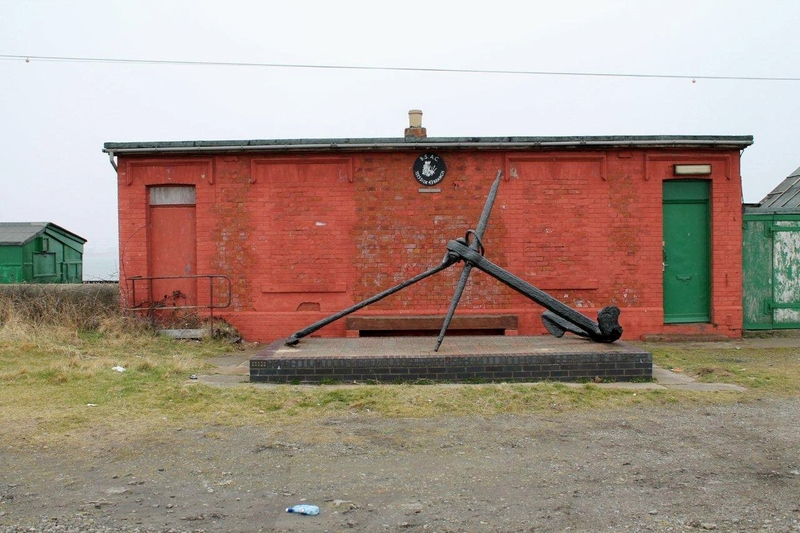 I visited South Gare yesterday ,to open up my very dear old uncle Jim hut as he recently died . it is a little private world down there , family and friends do come along , and the children learn about nature and life. Hiya Diana. What a wonderful picture you paint with your memories. 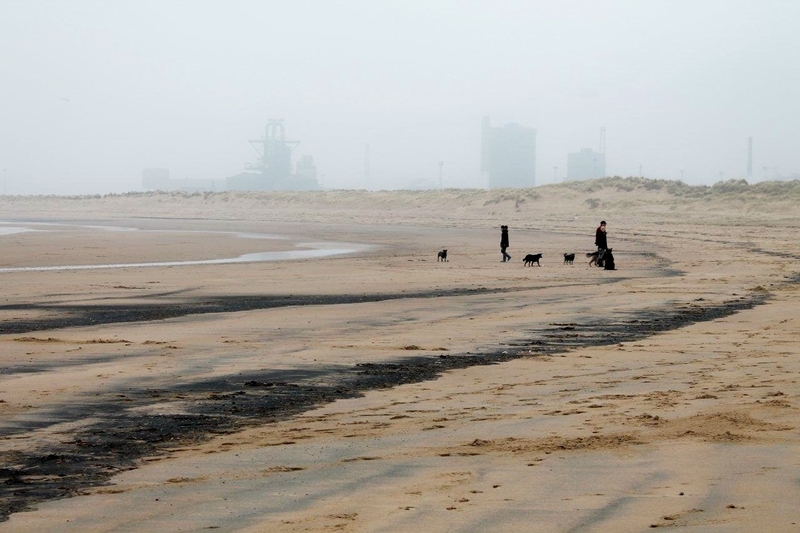 When I visit South Gare I do so as an outsider, but I still find it a very peaceful and interesting place – a community in itself, tucked away from the rest of civilisation. 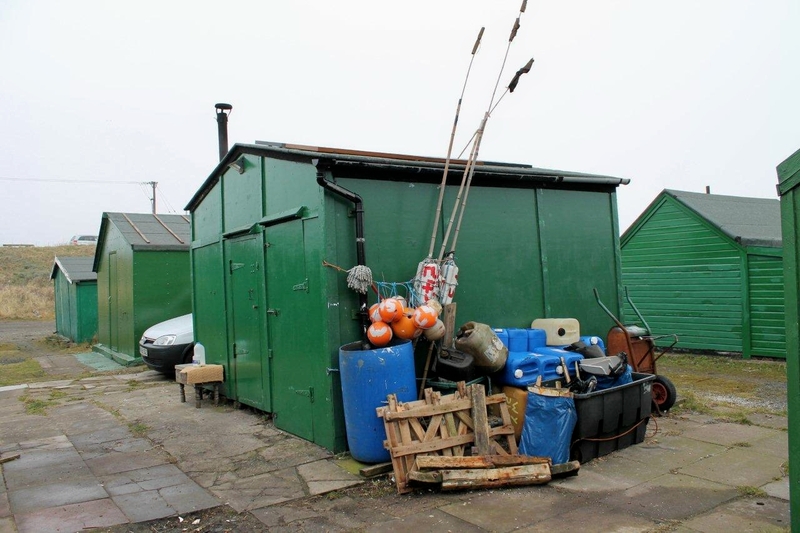 I knew nothing about the history of the fishermen’s huts, so you have enlightened me there. 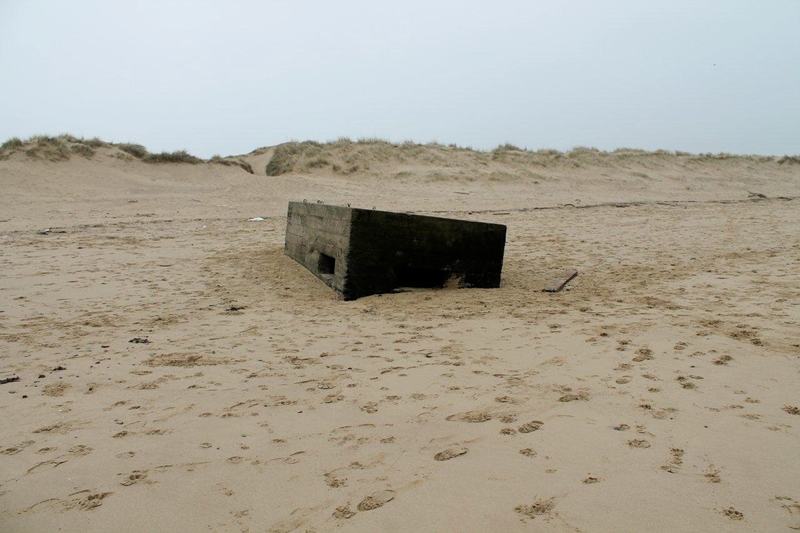 It all makes sense now, that they were built for soldiers, because there are several ruined gun emplacments and pillboxes along that stretch of coast – so thank you for sharing that piece of information. That made me laugh, the bit about the huts being painted “ICI green”. I come from near Barrow originally, where most of the people were employed in the shipyard and, at one time, half of the houses were painted battleship grey. Spent many a happy hour here as a child in the 1950s whilst my dad fished ‘off the gare’ – it could be quite a dangerous hobby in wet or wintery weather. We were given the task of ‘digging for sandworms’ which kept us happy for many an hour along with hunting for fossils, crabs and the like. Hi Margaret. It’s a great place and I was just thinking that I must have another walk down there. We used to dig for sandworms too, over in Cumbria where I grew up. It must be one of those things kids have to do. 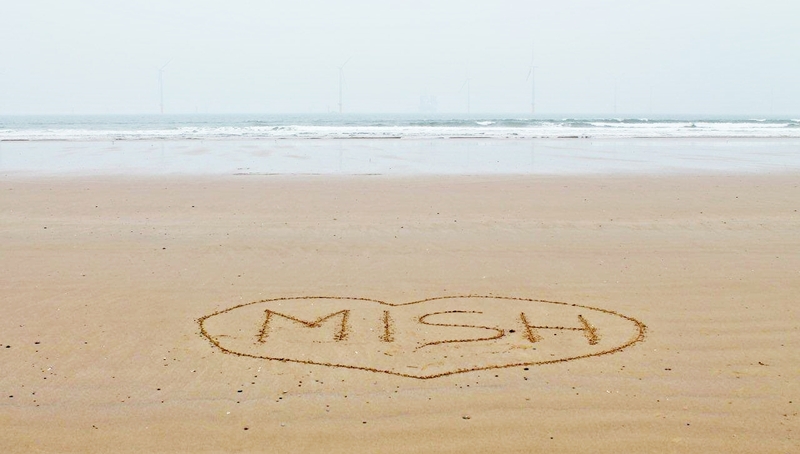 I thoroughly enjoyed your article, but you really should go to the South Gare again. You missed seeing so very much. The place is one of the very best sites I know for wildlife. At the right time, you’ll see several species of butterfly…. Common Blue, Wall Brown, Grayling, Small Heath, Narrow-bordered 5-spot Burnet, 6-spot Burnet and, so I’m informed, Dark Green Fritillary (although I’ve yet to see the latter species). I had my first and only sighting of the beautifully camouflaged Arctosa perita spider there too. Needless to say, it’s also a great place for birds. Hi Pan T. Linus. Thanks for your comment. I have been to South Gare since then but I must admit I had no idea there was such a wealth of wildlife. We visited the reserve at Saltholme on the other side of the estuary a few weeks ago to view the birdlife – but the insect life has escaped me. So that’s something else to put on the list of things to see. I am taking a small group of photographers down to Paddy’s Hole but don’t know the name of the Cafe – as I want to make sure they are open on the day. The food there is great. Anyone know how to contact them please…? Hi Rebecca. It’s called South Gare Marine Club Cafe but I don’t have a number and I can’t find one on the internet. Sorry I can’t be more helpful. Thanks Alen – you’re right I can’t find it either. Hope you’re wrong Diana – I’m hoping to partake in their lovely grub for lunch…! Hi Gordon. Thanks for your comment. It really is a wonderful place and one which keeps drawing me back. I bet you’ve had great times fishing there over the years. 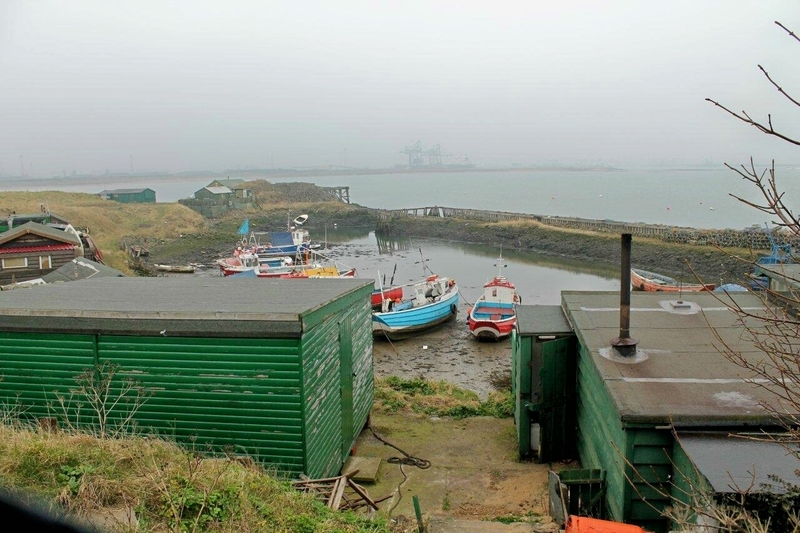 I see the trailer advertising the forthcoming series of Vera, with Brenda Blethyn, has some shots of the fishermen’s huts at South Gare. Looks like it might be worth watching. I love this! 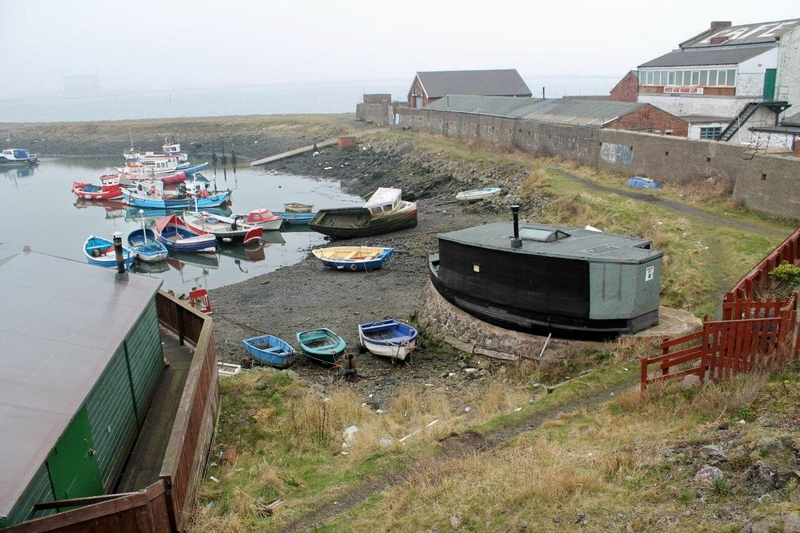 My siblings and I, as children into early teens spent many a day at the South Gare, as my dad built a cabin on the edge of Paddys Hole – it was one of the best, in our view. Dad’s hobby was sea fishing, often by night so his little cabin was perfect. We were so, so lucky! We were always intrigued by the ‘green’ block huts. They always seemed so ‘random’. I’m in my my 50’s now so they’ve been around sometime. Our days there were in the late 60’s, early to mid 70’s. 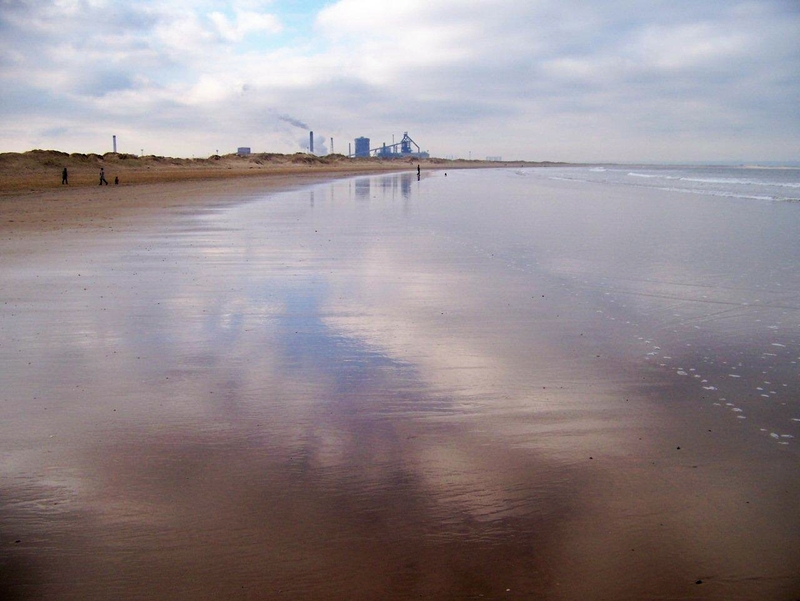 Even today, a trip to the South Gare brings so clearly, my senses of those blissful days. Hiya Carol. You were very lucky children. I would have loved to have had a place down there to go at weekends when I was a kid. 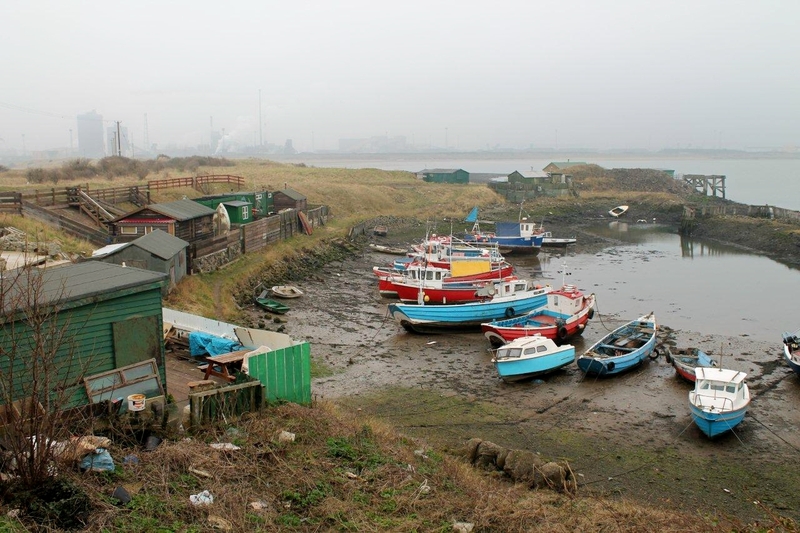 South Gare is a magical place because people have made it that way with their huts and boats. Long may it remain a magical pplace. True. It’s one of those rare places where nature, man and industry merge. I only just discovered this amazing place on Monday and I’ve been visiting the area for 38 years! Wow, it’s fab. 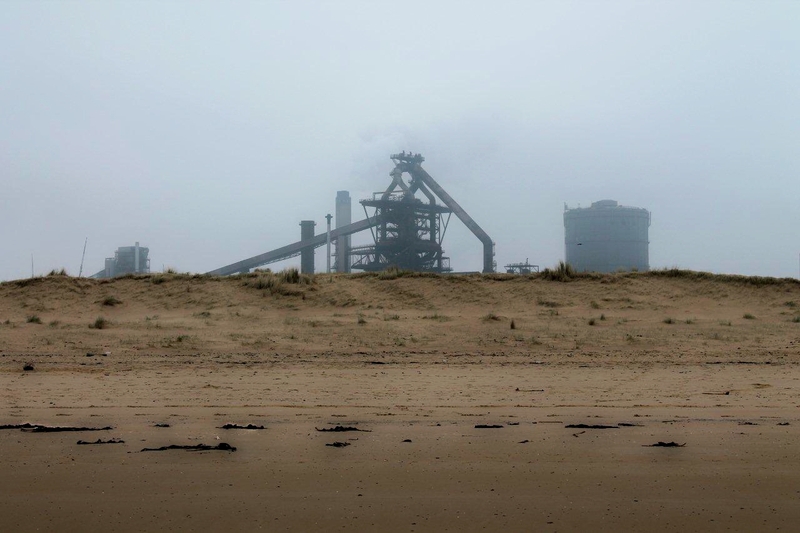 I love the contrast between the blast furnace and the beautiful dunes and huge stretches of sands. It sums up what I love about the whole area, freedom and beauty amid the harsh drudgery of life. Great to know there’s others out there who feel the same. Hi Deborah. You’ve summed it up in a couple of sentences. It’s the perfect contrast. Long may it remain so. Enjoyed that piece. I have fond memories of Paddy’s Hole and the Fishermans huts. I stayed in one owned by my great-uncle in the late 1970’s along with him and his two sons. 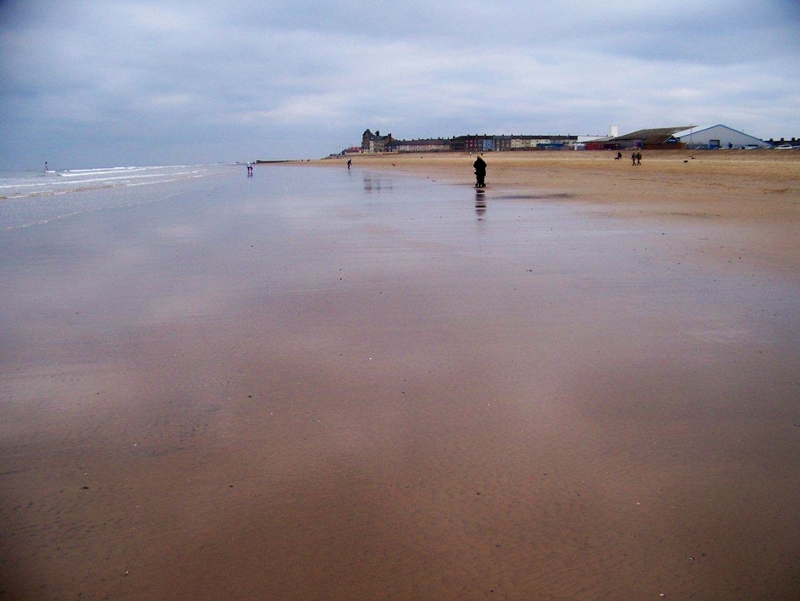 We walked into Redcar and back along the beach after a few hours in the penny arcades and a bag of chips, with my great-uncle disappearing for a pint or 7 during this time! I always remember he made his own soap (which didn’t smell or seem to be soap). It was smelly and damp, but the stuff that memories are made of. 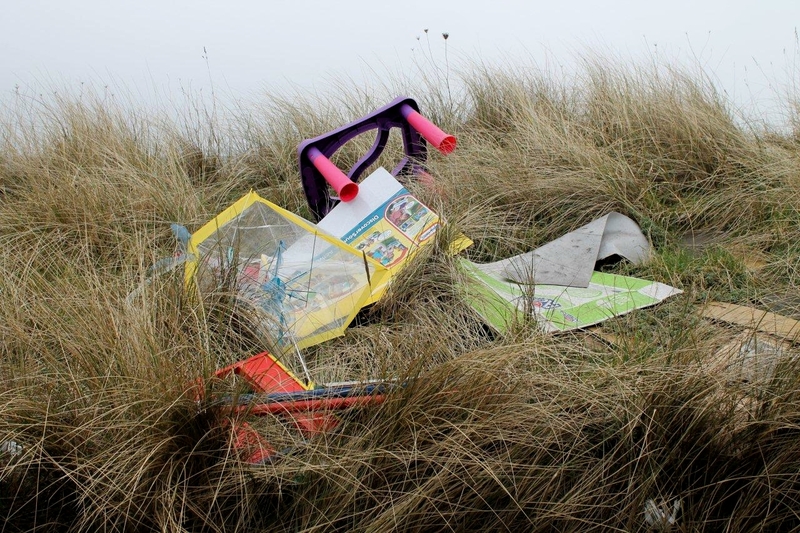 Only a few miles away from where I was brought up in Middlesbrough, but seemed like another world, 3 kids running amok in the sand dunes. A few places like this here in Western Australia where I now live, Wedge Island community springs to mind, although slightly warmer and better fishing! Same home-built shacks and fisherman. Hi Chris. What fantastic memories. Another time, another place, almost another world. I like the idea of the homemade soap. I wonder what ingredients he made it from. It’s good to learn there are other places like Paddy’s Hole scattered around the globe. I suppose that wherever people congregate there will be a minority among them who hanker for a simple life that’s closer to the elements. Long may they thrive, that’s what I say. what an absolute fantastic read.im still one of the hut owners,it has been in my family for over 50yrs,recentely rebuilt as the weather along the coast takes its toll.mine is right opposite the toiler and the tap were we retrieve our water.its a community in itself.its a splendid place,a happy place were the small community of people share.im a regular still and visit my cabin no less than 3 times a wk.been a fisherman aswell,its grt to retire to my man hut after a few hours on the gare end.fire up my log burner,switch on the tv or even better no tv and listen to the crashing of the waves.still an inspiring place and i hope when i hand it over to my children,there children will have happy memories too. Mark, it’s a beautiful place down there and you make it sound like absolute heaven. I can think of no better way to end a day than to sit in front of a log-burner listening to the sound of the sea. Long may that way of life continue. well Alen,nxt time you are venturing around this area,throw a post up and your more than welcome to join the community.ile make sure im there with the fire ablaze.your more than welcome anytime.kettles always on the stove and a hot meal awaits. enjoy all of your journeys,once again best regards and stay safe. As just posted on FB. Maybe not the right place for this but I can’t think of a better place ! Like many Boro people before us I’m sure, we took two of our Granddaughters ‘down the Gare’. They had a great time, saw big ships, little ships, tugboats, seals, butterflies and wild flowers. But why do folks think it’s OK to leave all their litter, waste and other ‘stuff’ behind ! For me ‘the Gare’ is a special place. We finished the day with a lemon top in Redcar and a visit to the Zetland lifeboat museum, great little museum run by lovely volunteers, well worth a look, and it’s free ! ( please make a donation ) BTW, I have no connection with the museum. I tried to give the poor kids the usual Grandad stuff about the history of the area ! The Gare is indeed a special place. Hi Bruce. Great stuff. I’ve taken my grandchildren down there, too. I hope they remember when they grow up.